E-commerce has been growing in the local market with players such as Jumia, Olx and Kilimall leading in the market. The Communications Authority of Kenya recently released Q1 2016 statistics for the period between July and September 2015. The report highlighted a surge in mobile commerce with E-commerce transactions valued at Kshs. 95 Billion taking place in the quarter. Jumia, an Africa Internet Group company has managed to make significant inroads into the country, dramatically changing the face of eCommerce. The firm conducted a survey on traffic to the site with 3,000,000 visits analyzed. From the data, the firm witnessed a growth in traffic from rural areas. The survey indicated that urban traffic to the Jumia site stood at 77% in 2014 with rural traffic at 23% while urban deliveries accounted for 61% and rural 39%. In 2015, urban traffic maintained lead at 60% as rural traffic recorded a 17% rise to stand at 40%. Urban deliveries receded by 6% to 55% compared to 61% the previous year with rural deliveries climbing to 45%. Urban Kenya here refers to Nairobi, Thika, Nakuru, Mombasa, Eldoret, and Kisumu with other towns categorized as low tier towns or rural Kenya. Smartphones, mobile accessories, television sets, and computing rank were the fastest selling commodities in rural Kenya with fashion items as the best selling under the Urban Kenya segment. 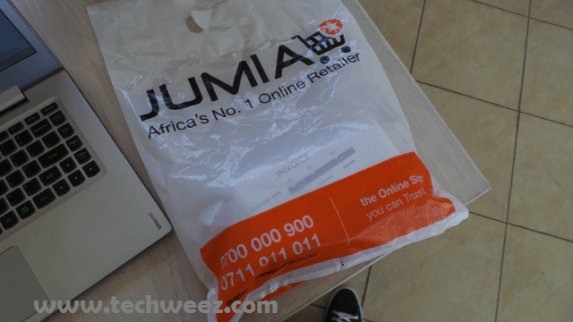 Jumia sees eCommerce growing locally owing to increased broadband connectivity across the country as well as government efforts aimed at mapping infrastructure locally.